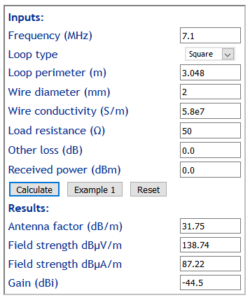 Small untuned loop for receiving set out a model for calculating the S/N degradation of an active untuned small loop antenna system. 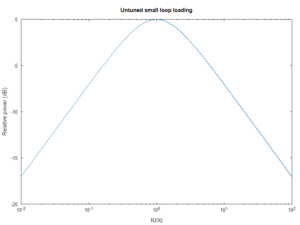 The calculations in Small untuned loop for receiving – Trask noise and gain analysis might prompt the question of what is the optimal resistive load for an untuned small loop. 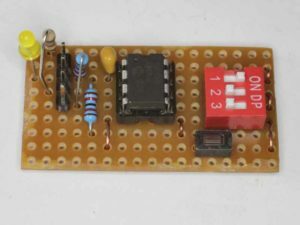 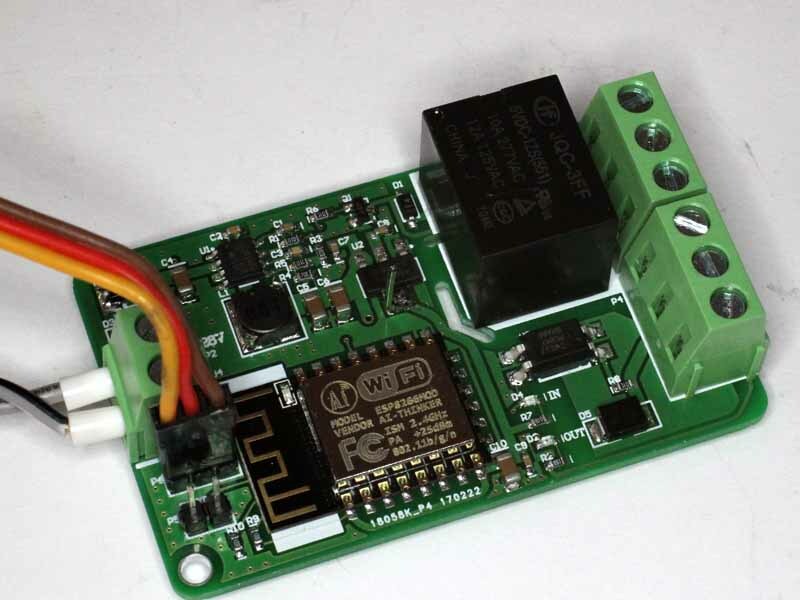 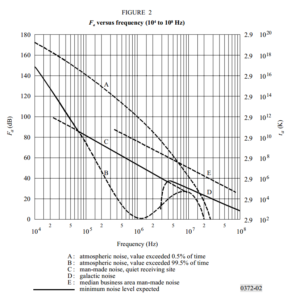 This article explores the topic for a simple model where the equivalent noise temperature of the amplifier is independent of source impedance. We can construct a simple model where the loop behaves as a fixed pure inductance, and its load is a fixed pure resistance. 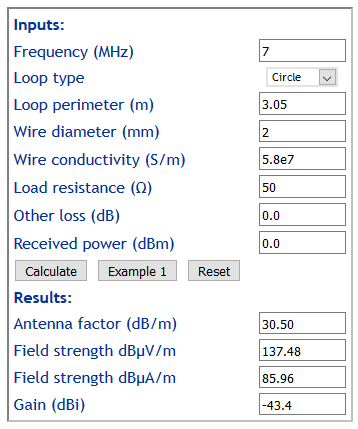 This is a reasonably good model for a small loop, perimeter < wl/10, not too bad for perimeter up to wl/3. 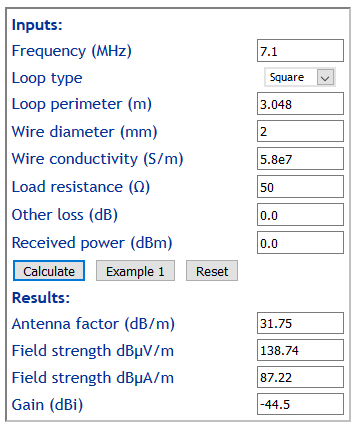 The source impedance becomes the loop’s inductive reactance Xl which is proportional to frequency, and the load is Rl. 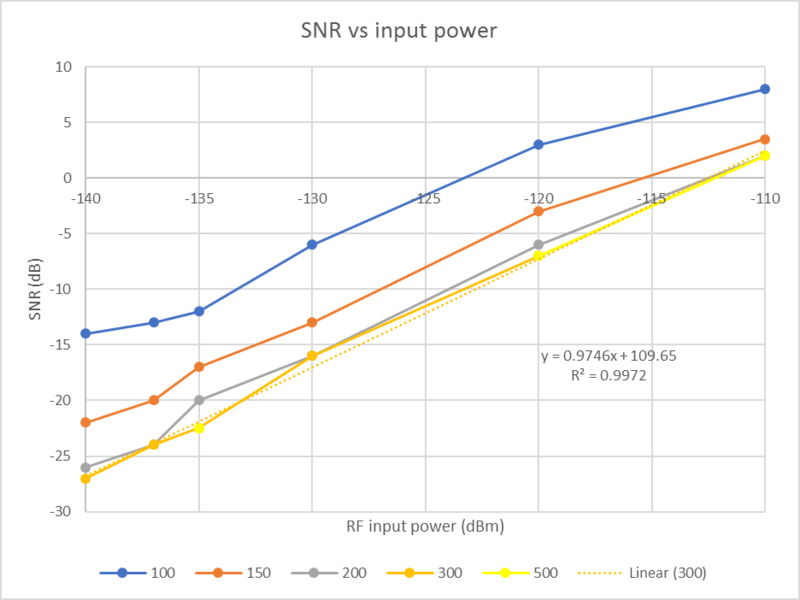 Above is a plot of the relative power developed in the load vs the ratio of Rl/Xl. 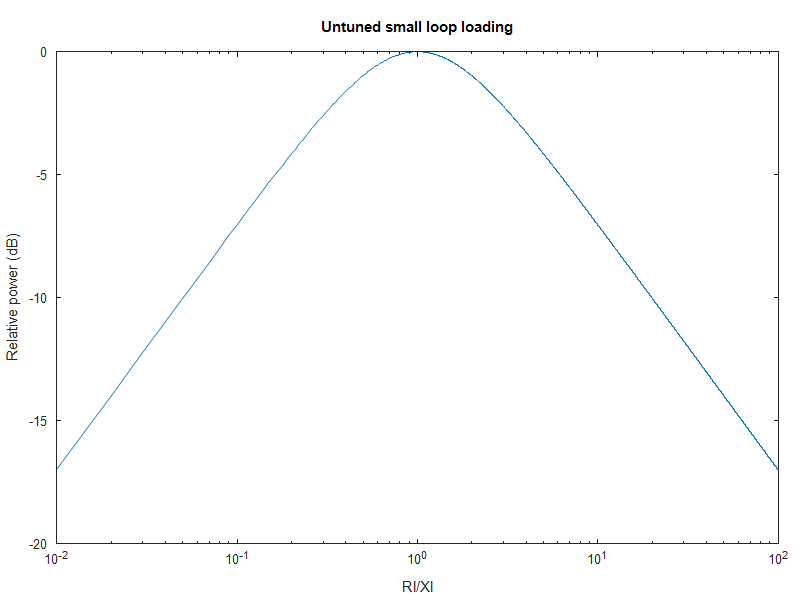 The article Small untuned loop for receiving mentioned Trask’s active loop amplifier. 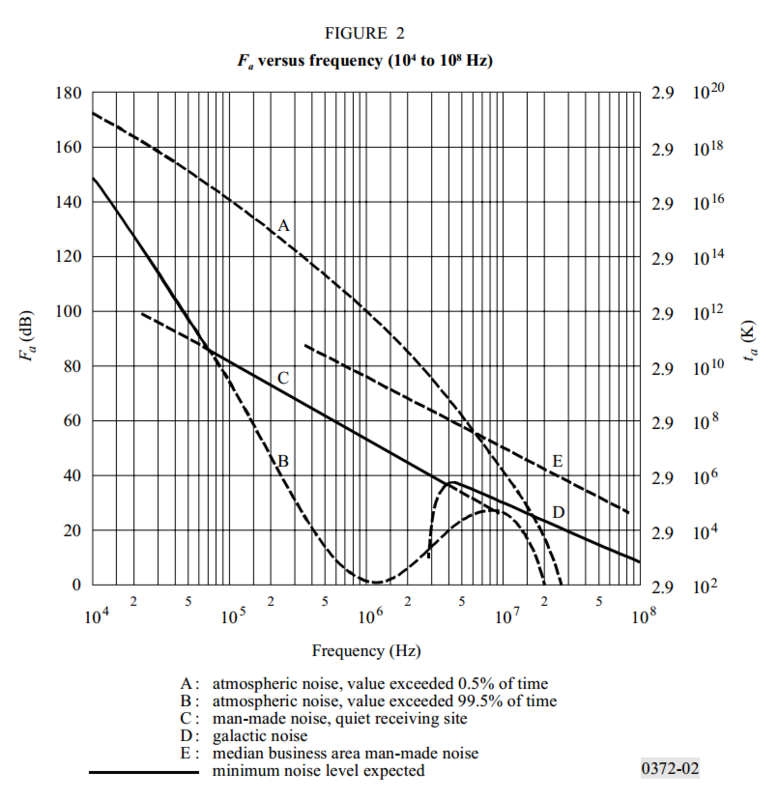 (Trask 2010) published a two stage design using passive augmentation, arguing certain benefits of the approach. 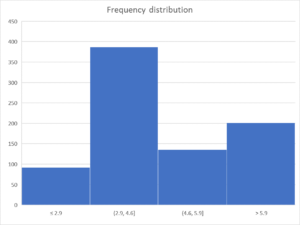 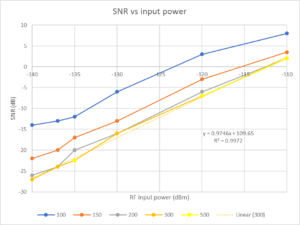 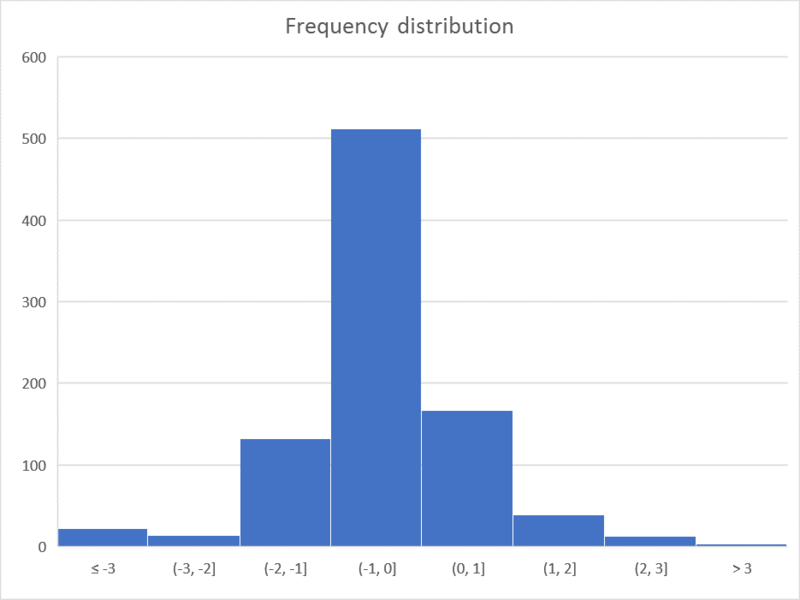 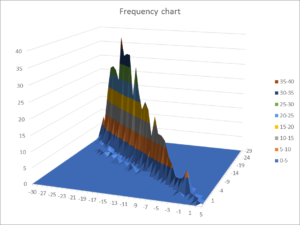 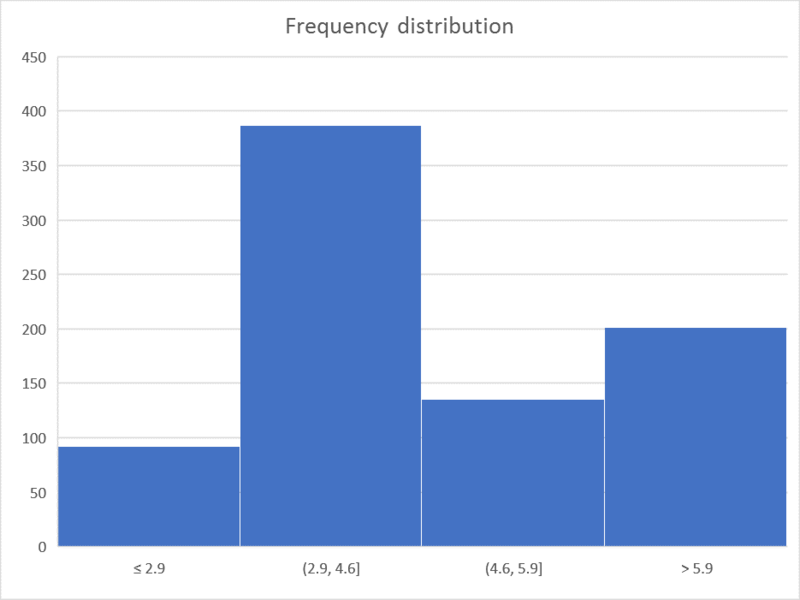 This article presents a noise gain analysis for the 8m perimeter loop used in the article Small untuned loop for receiving to achieve a S/N degradation of no worse than 1dB at 7MHz.